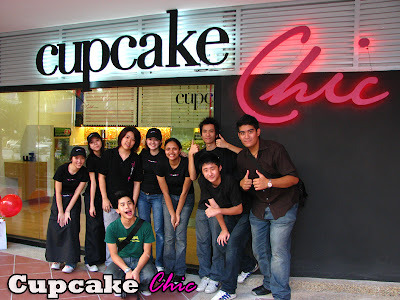 Before we go to the following update about Cupcake Chic at the Curve, i'm sure by now many of you have gone to watch the premiere screening of Cloverfield thanks to MyStar (from the AMBP gathering the other day - they gave away some tickets i believe). Well to those who have...what are your verdicts? 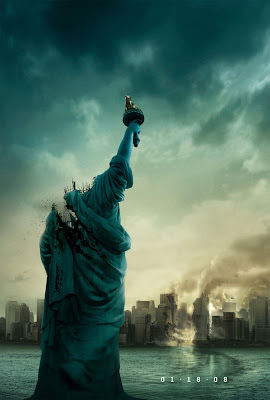 As for me, i watched Cloverfield this morning (Wednesday Morning) during the Press Screening which was way too early...!! so hard to wake up. I got dizzy during the first quarter of the movie, wanted to go out to get a breather! But the actions was so fast paced that i needed to stay in my seat! But overall, i believe that the film is a little bit too short, finished too early and i demand for an ending (but not from the DV Cam please... pening kepala la!). 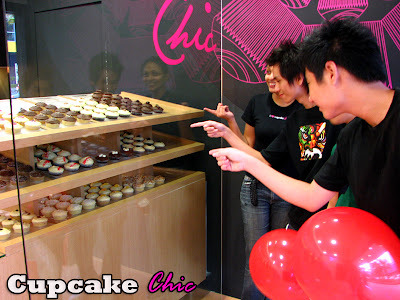 Cupcake Chic, i believe it all started when there was this craze for cupcakes (from wondermilk)... well now you can find a boutique store selling just CUPCAKES at the Curve. The prices are quite attractive and you wont be disappointed i tell ya! 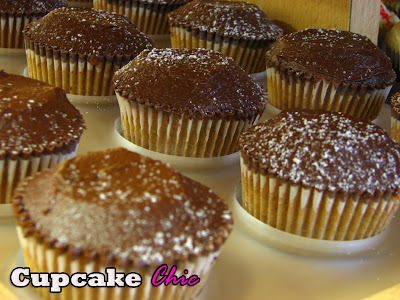 It's YUMMY and once you had one, you'll want another one! 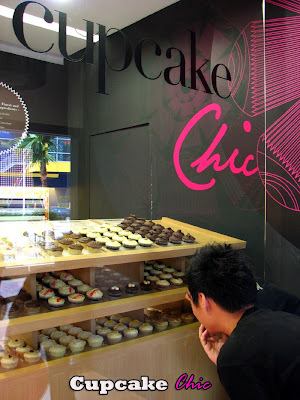 If you think Donuts are the latest craze in town... think again cause Cupcake Chic has arrived! 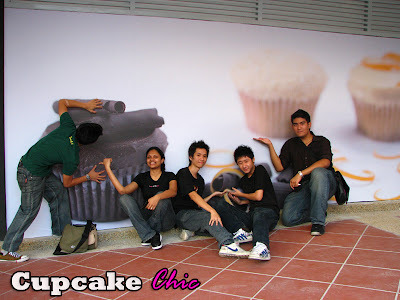 The facade of Cupcake Chic @ the Curve, it just recently opened... there will be tables and chairs for customers to enjoy their cupcakes in the open by the terrace! There's quite a few variety to choose from... which one shall it be today? CHOOZ YUR FLAVA!! Choose your flavourrr my friends!!! 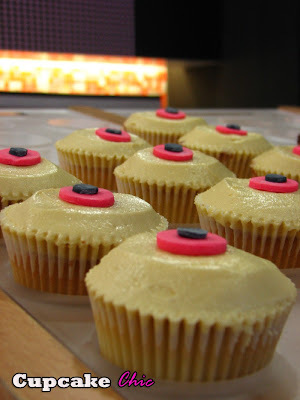 All cupcakes are baked fresh daily!!! 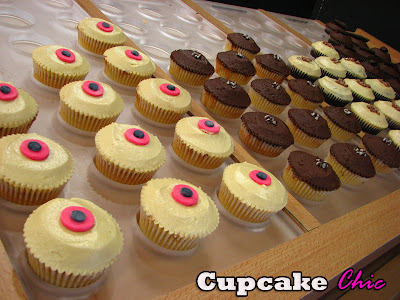 You know what... typing up this update at this hour in the evening makes me realllyy hungryy!! Jon with the LOL green t-shirt too hungry until he had to eat the wallpaper! heheh... group pic together with Jennifer, Malcolm and Able. Leo's... is it new? has it been here for a while? 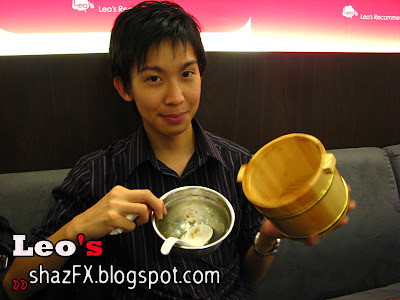 Definately because Amber Chia is its product ambassador if i am not mistaken and they have a UNIQUE Leo's Bucket Rice!!! 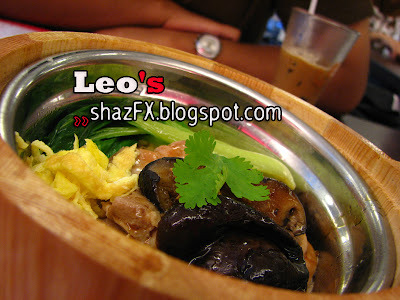 Last Wednesday, went to LEO's with Jack for dinner @ Plaza OUG. We both had the set dinner Bucket Rice (came with a cup of gelato ice cream), where we also added RM1 to get a Cham Ice together with the meal. 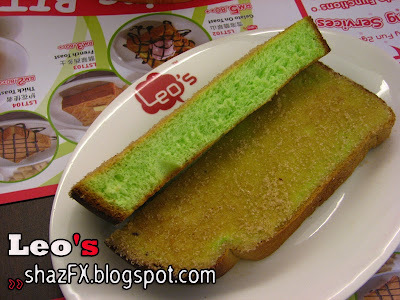 Not forgetting the pandan bread toasted with brown sugar on top... quite a dry taste but something different than the usual oldtown kopitiam. Try it out... its certainly worth a try if you haven't... nice place to chill out but price wise, i still feel that Oldtown is more value for money and taste! Whoaa... suddenly its so green!!! hmmm... coloring? nahh.. permitted flavors and coloring perhaps! Oops! Looks like someone was contented with what he had for dinner! or was it he was too hungry! Hehh... Jack jack...!!! - Wanna know what Jack and I had for dinner, scroll downnnn!! 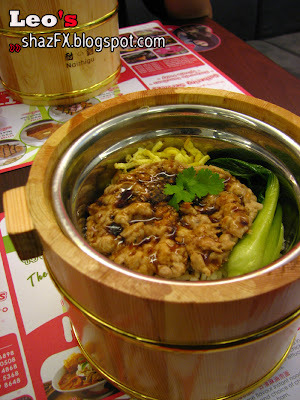 This is my dish, its chicken something... totally forgotten la! so many things happened over the past week! Jack's dish... he had something with mushroom! Really bad la me... can't remember!!! Cham Ice!!! Ahhh... Jon you should try out the Cham Ice here yO! That's all for my update!!! 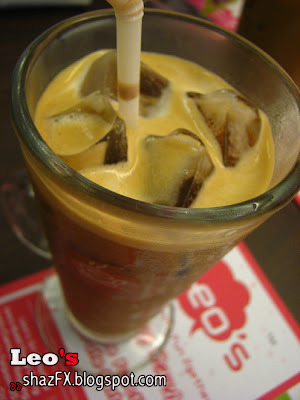 Will surely come back to LEO's for more... really wanna try their other specialties!!! They have a few outlets, for more info... well plz google em!